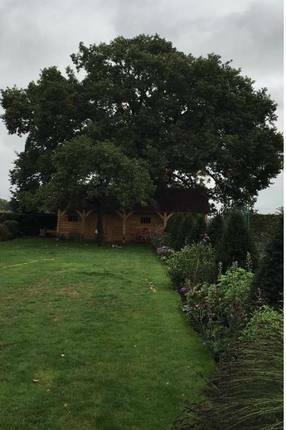 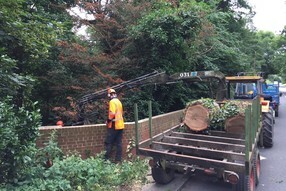 Large Oak being dismantled in Ottershaw 2017. 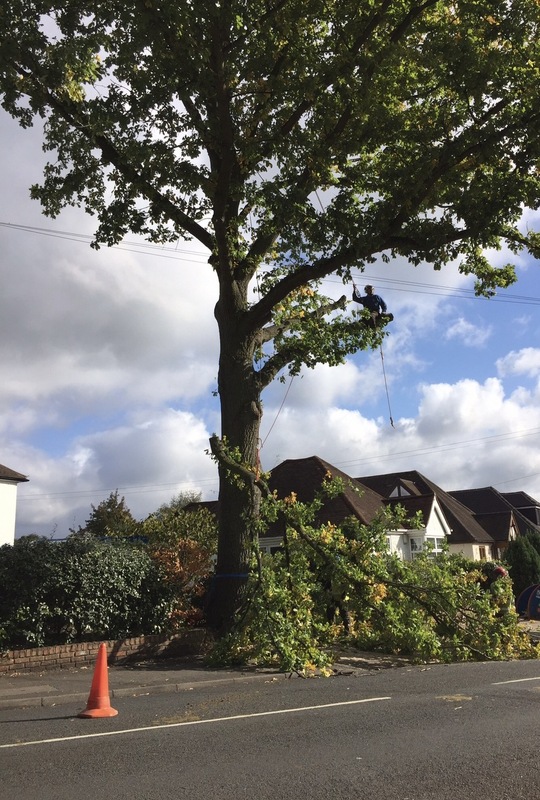 As the Oak was located in between two houses and backed onto mobile homes, the safest option was to bring in a large crane. Each piece had to be safely strapped up, then lifted over the top of the mobile homes onto the nearest clear ground for us to process and take away . 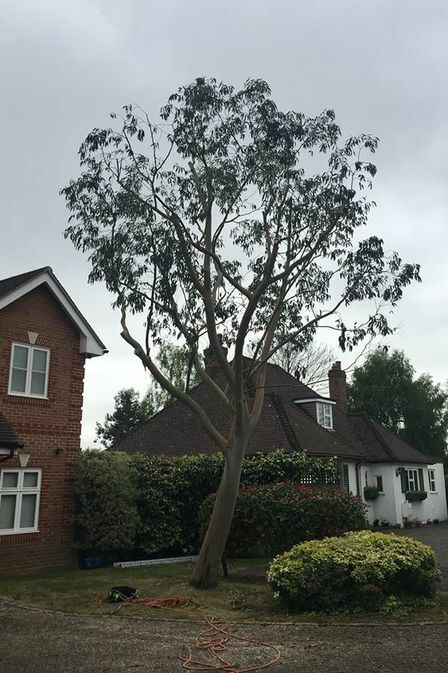 We successfully completed the removal within a few hours without any problems, leaving lots of happy residents. 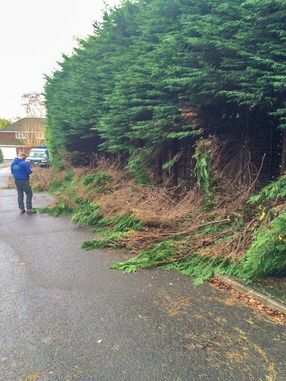 Western Red Cedar emergency call out - Boxing Day 2013 - St Georges Hills Weybridge. 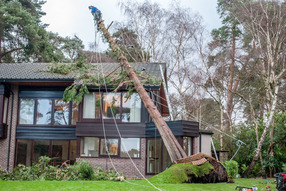 This large tree had been blown by the strong winds straight onto the roof of the house, ripping the floor up with it. We took the weight off of the top of the tree before attaching a pullie system to pull the tree as upright as possible. 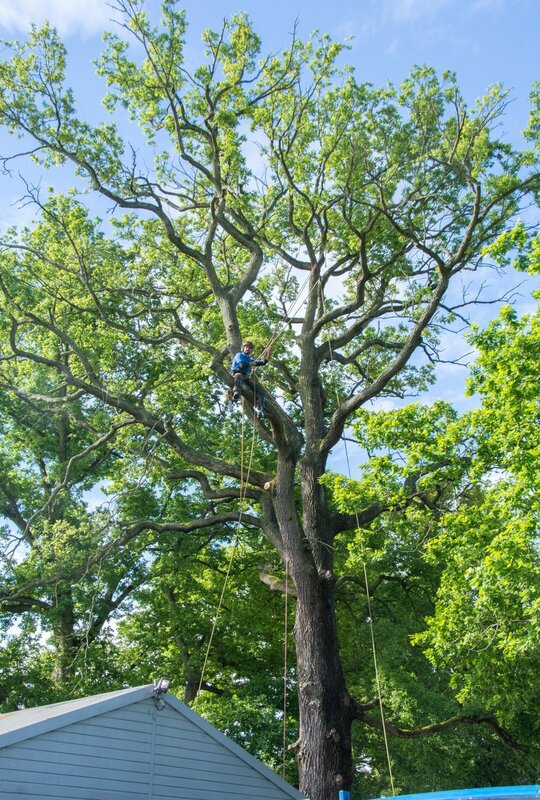 This made it easier to fell the remaining trunk. 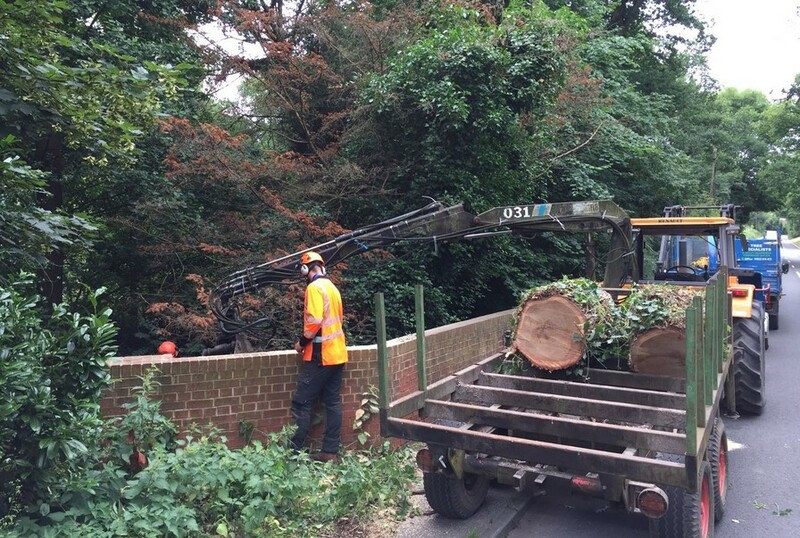 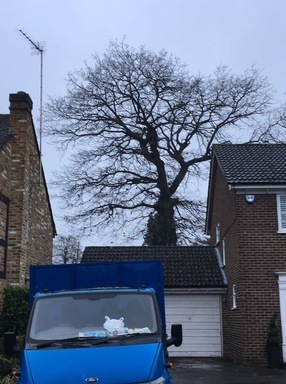 Roadside tree work in Ottershaw, removing a large stem, using tractor and trailer with grab in 2017. 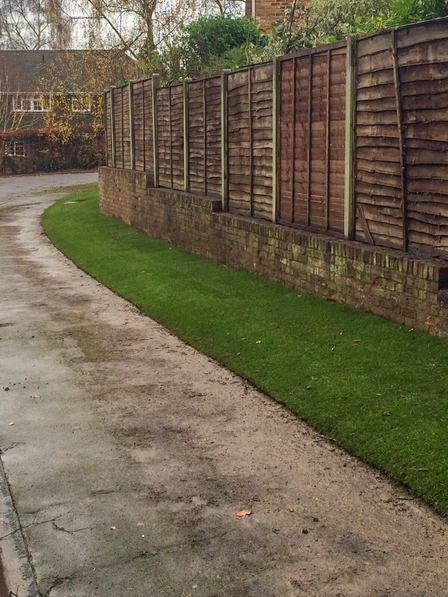 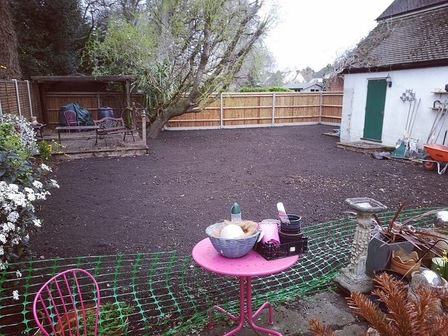 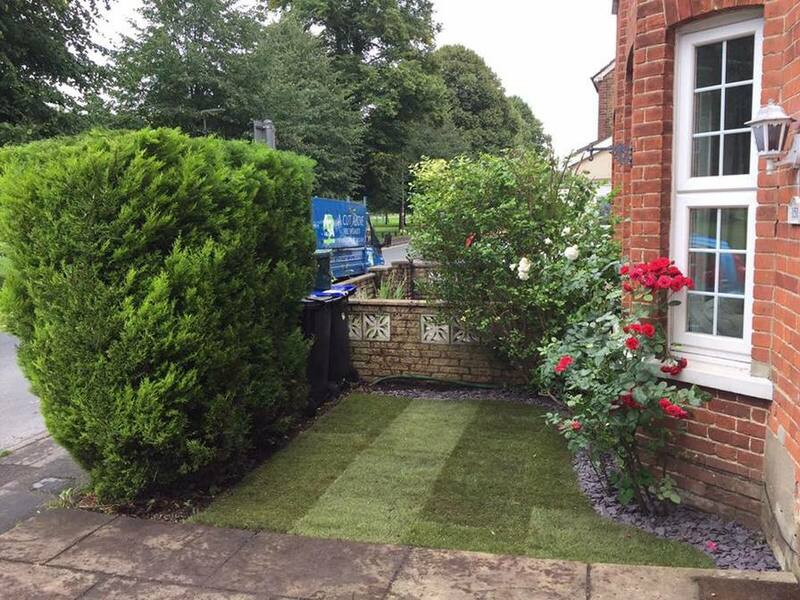 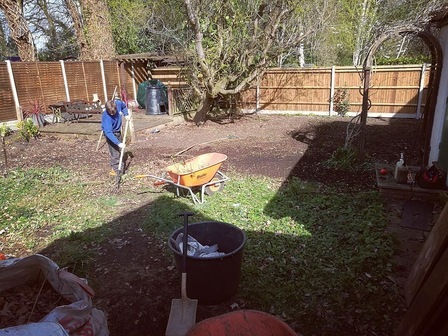 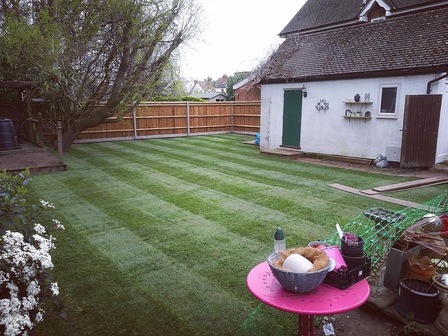 Before - Fresh new turf in West Byfleet April 2019. 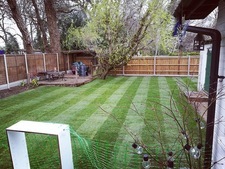 During - Fresh new turf in West Byfleet April 2019. 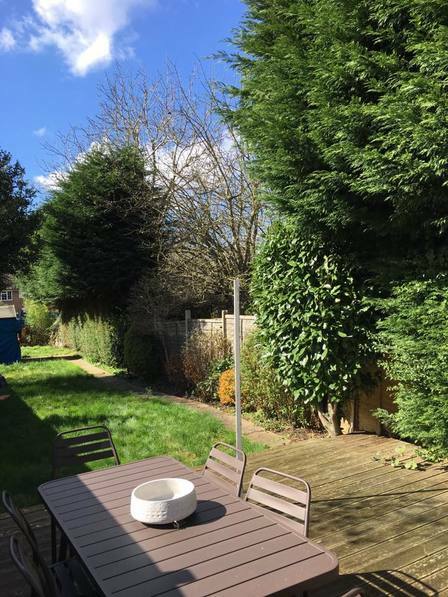 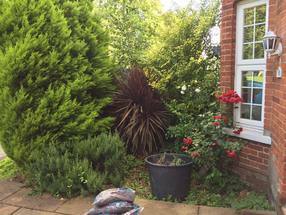 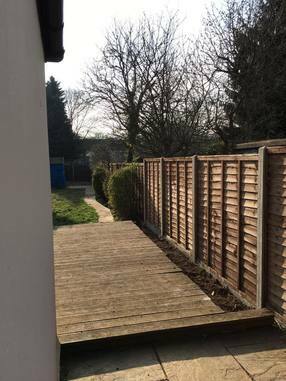 After - small back garden in Guildford - 2017 - Removal of hedge and new fencing installedt to edit it. 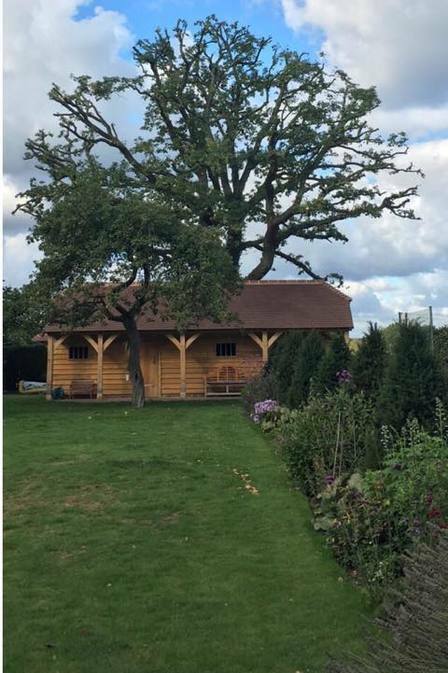 It had a disease that was making it structurally unsafe. 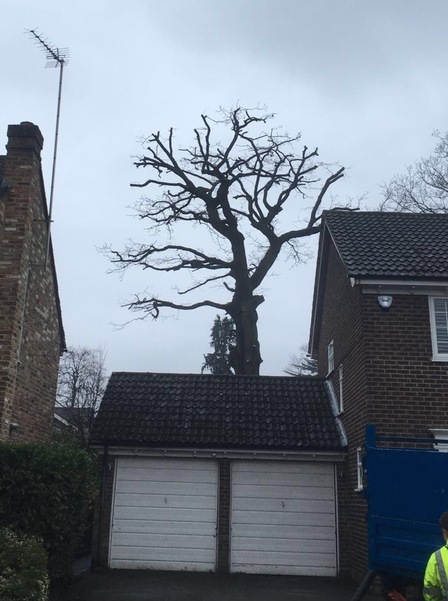 It's location was on a main road and over houses so the safest option was for it to come down. The tree was preserved by the council. We put an application in on behalf of the client, as it was in a state of decline. 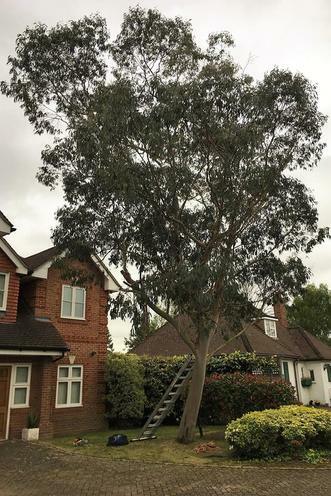 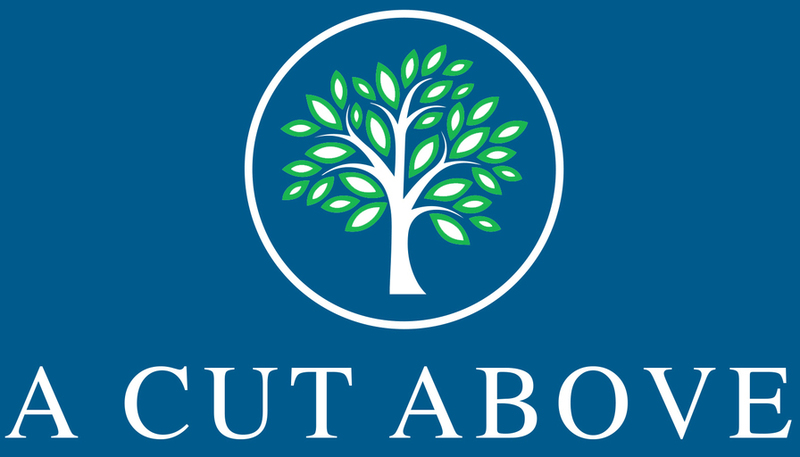 The application was approved with the condition that a replacement tree was planted in its place. 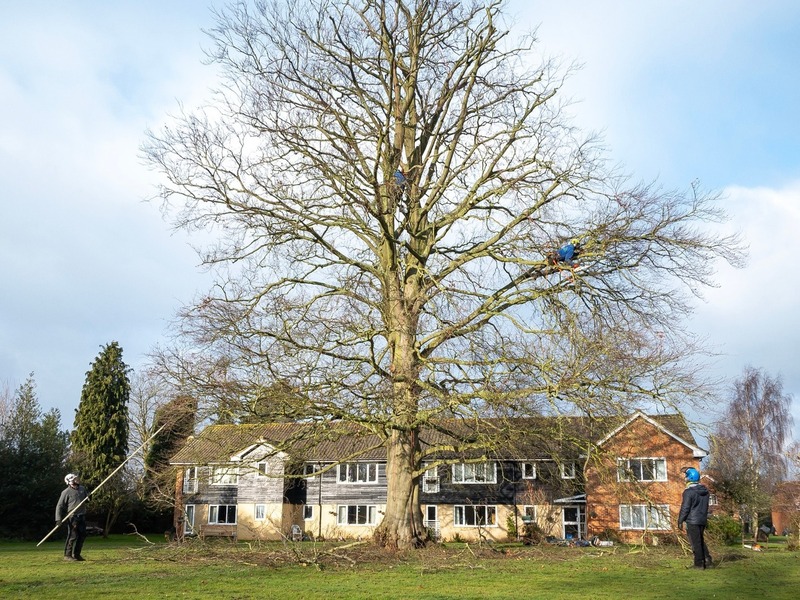 We regularly work for Horsell Common Preservation Society on projects within the common, this can include forest management, site clearances, road side work and general tree work to declining trees. 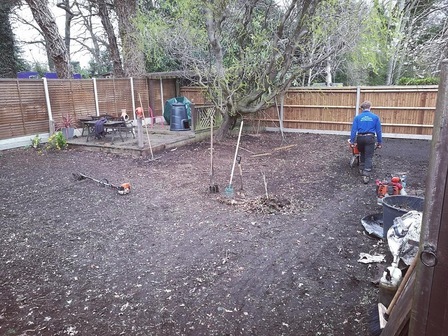 This was a pine clearance in the middle of the common we worked on in 2017 to merge two sections of the common together, creating a vista and encouraging the Heather to grow through. 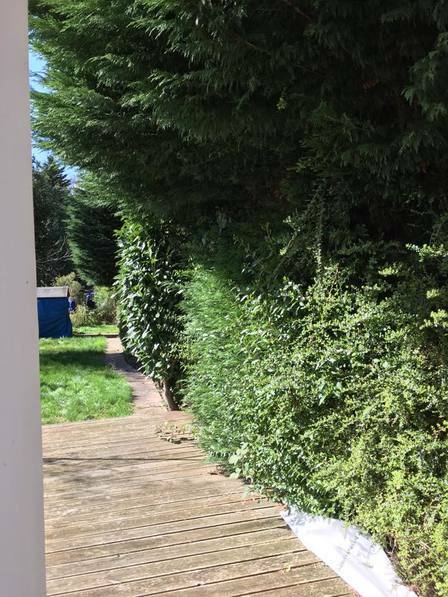 Hedge cutting large Conifer at Sandown Race Course 2016 - We do this once or twice every year. 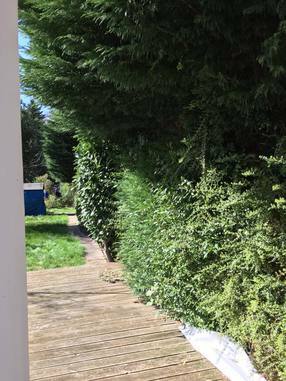 We call it "The Green Mile" as it really is a long stretch of Conifer. 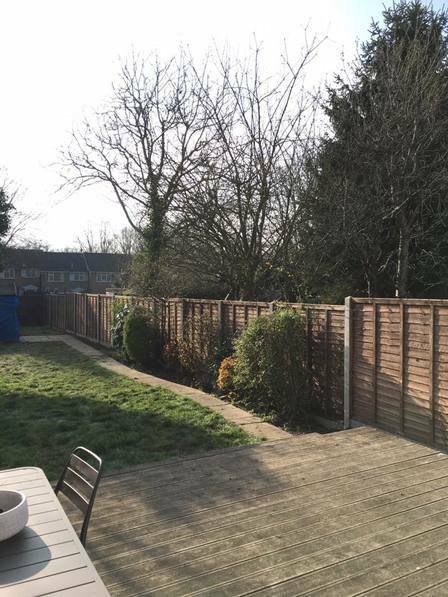 After - small back garden in Guildford - 2017 - Removal of hedge and new fencing installed.